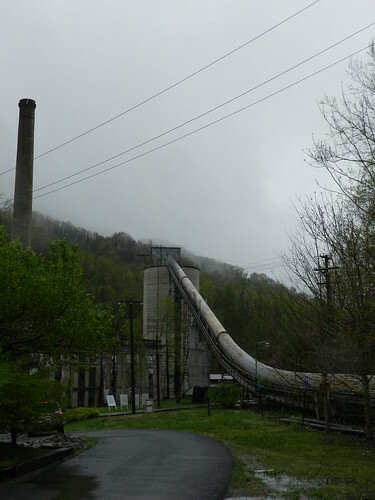 Nick's grandfather was a coal miner, and I have spent countless hours since I was nineteen years old hearing stories of coal camps, miners, mountains, and moonshine piped in through the kitchen sink from his Mawmaw. 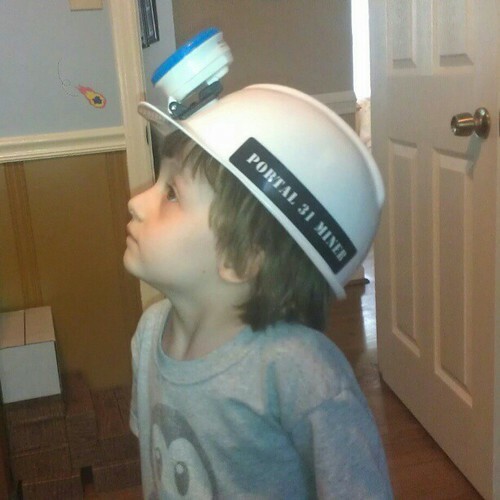 Over the years, I have taken on this family coal mining history as my own. So although I may not technically be a granddaughter of a coal miner, I am consider my (inlaw) coal mining roots to be pretty strong. 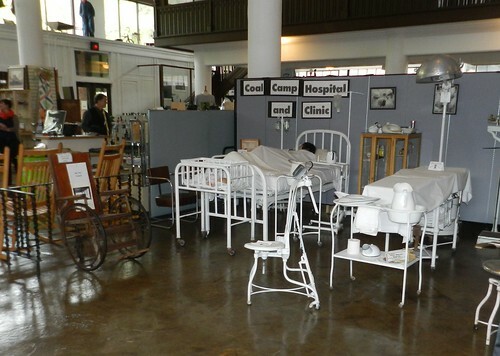 So when my Rural Health class voted on where to go to experience rural life, I quickly cast my vote for the Portal 31 Coal Mine Tour and the Coal Mine Museum, both located in far Eastern Kentucky. 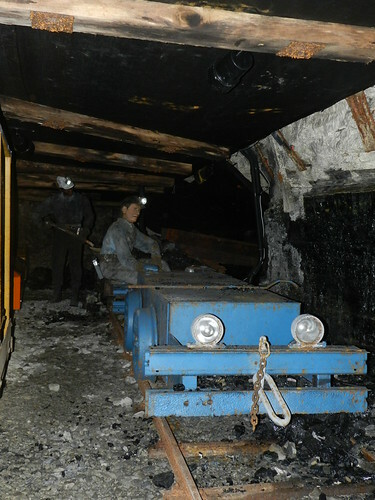 Turns out the rest of the class agreed, so a couple of weeks ago we headed east to tour a coal mine. I am going to show you some pictures of our trip, just because I thought it was so interesting. And because, in this small mountain town, it is their attempt to hold on and bring in tourism now that the mines have closed. There used to be ten thousand people living in this area, now there are less than a thousand, and over half of them are over 65 years old. The old school house is now a bed and breakfast, and the tour guide is 89 years old. It's a piece of American History, and they are proud of it. I am pretty proud it is located in my state. I figure I should tell you all about it, and that it is definitely worth the $15 to do both tours ($12 if you are a student). 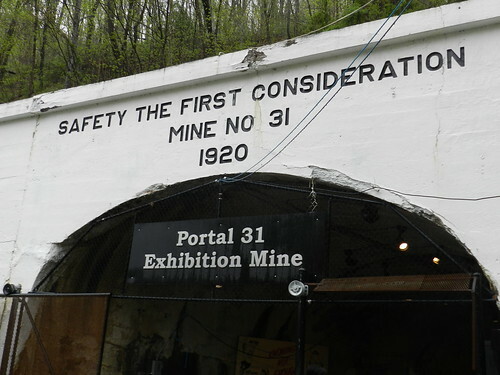 Heading into Portal 31 Mine tour in Lynch, Kentucky. It was all pretty exciting.. 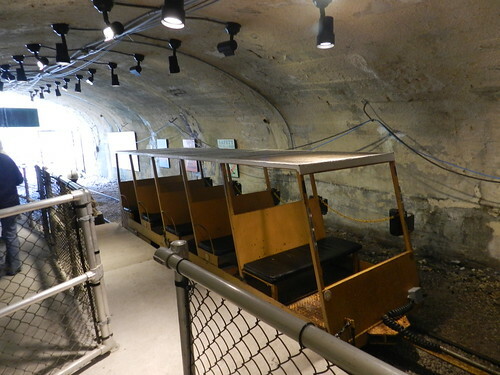 I mean... until you realize you are actually GOING INTO A COAL MINE... Like, UNDER A MOUNTAIN, in a tiny little metal cart. Then it's exciting mixed with a little terrifying. 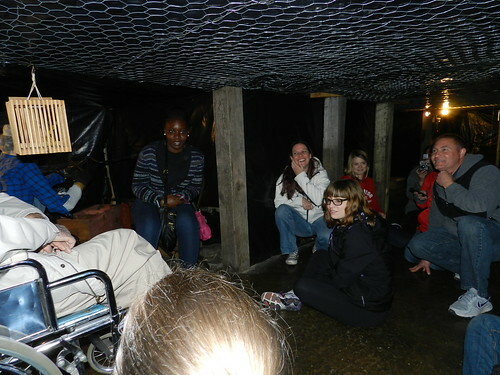 But once we got rolling I forgot to feel uncomfortable because I was too busy enjoying the tour. It's like Disney World! 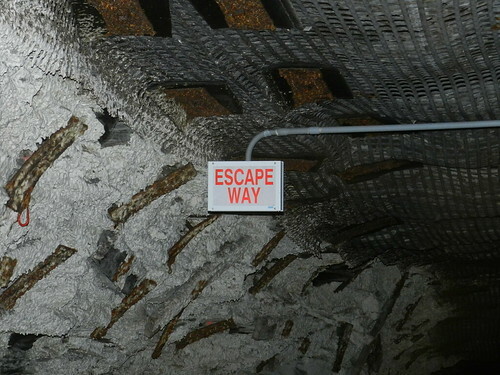 But in a coal mine! 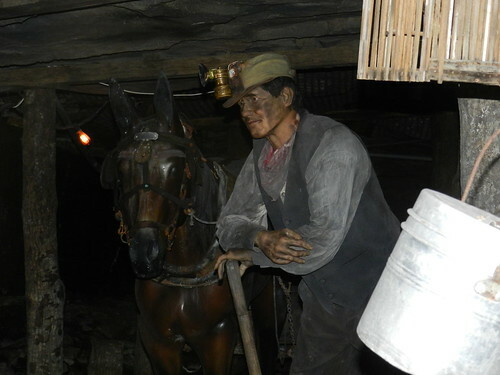 As you went deeper into the mine there were several stops through time, showing you how mining progressed over the years. 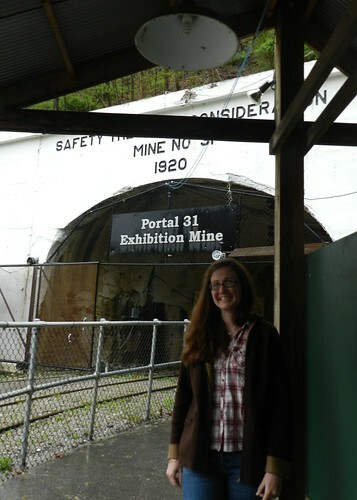 Me, at the mine... with my hair expanding by the minute due to the rain. 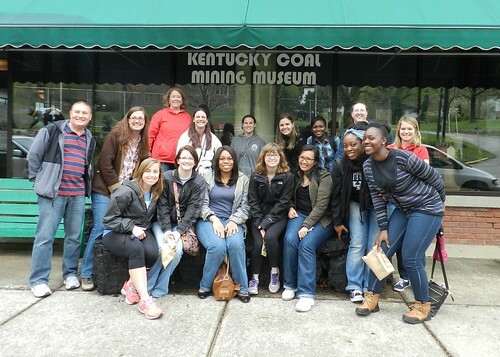 After the Portal 31 mine tour we headed to the coal mine museum in Benham, KY. This is Al, our tour guide. 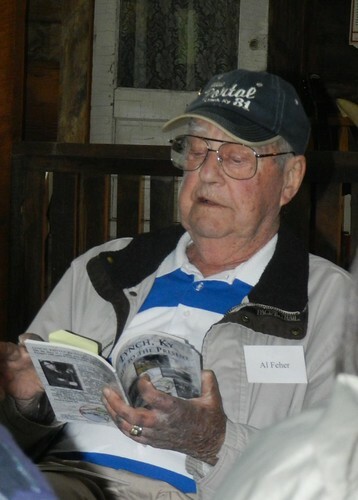 He has written three books on the town of Lynch, and he is a fountain of amazing information on the mine, the town and the people. My class (who I assume doesn't mind being on my blog since I am not listing names and they all seemed fine with the pictures going on the MPH program's website... that's like signing a waver, right?) outside of the museum. You can't see it, but we are sitting on a large piece of coal. But by far the best part of the museum was the mock mine, where you had to walk around perpetually bent over because the ceiling was 50 inches tall. Good old Al rode in a wheelchair. I sorta wanted his chair, but I guess it's okay that it's his since this is his job...and because he is 89 years old. 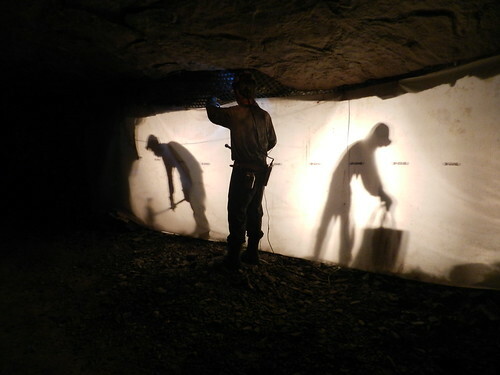 He informed us that men mined in spaces as small as 36 inches. 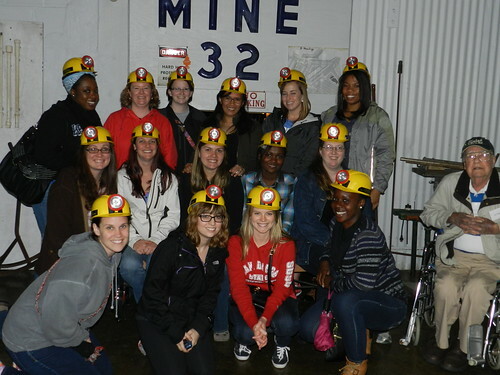 Here is our group outside of the mock mine, with our mining helmets on...which may or may not have really been for children on the tour. Turns out I go to school with people who are as big of nerds as I am. (Although, if I remember correctly, it was me that really pushed for the class picture in the hats... so MAYBE I am just a little nerdier). It was awesome. And we will be going back when Henry is big enough to enjoy it. 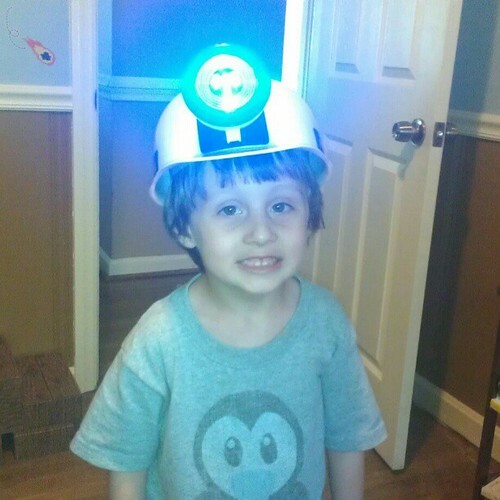 I mean, there is no question that he is the great grandson of a coal miner. We gotta keep him educated on his roots.